Bought this because the demo ran well, it looked OK and it had lots of educational extras - figured it would be a 3 or 3.5 star game...Boy was I surprised to find myself totally immersed in it & really liking this game! Mind - I had only one glitch - game stopped, but when I re-opened I'd lost nothing & it ran perfectly prior and subsequently. The story is interesting & the characters compelling (well - they are real after all :) Nice mix of HOs, games and tasks. Beautiful artwork. Another pleasant surprise was just how tricky it could be to get some of the familiars! In fact - I flat failed to get them all! This was not a glitch, I just missed some :) you really have to put on your thinking cap to get some of them! So though I stand alone on 5 stars - know that this one is worth trying - you too just may be pleasantly surprised! I really love the story, but it's not quite realistic, love the scenery and the pasttimes. This is a nice game. The graphics and music were nice and the characters interesting. I also liked the bits of real history included in the game, as I'm something of a history buff. 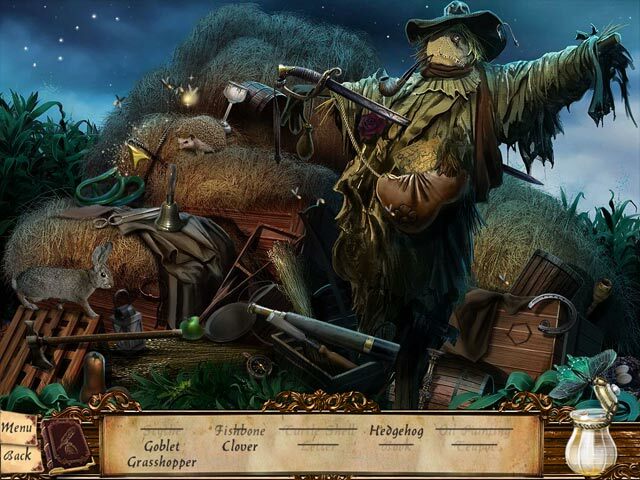 The puzzles and hidden object scenes were fun with just the right level of challenge. The storyline was a bit muddied, and it ends kind of abruptly in a way that doesn't make total sense, so that was a little disappointing since it was great up until the end. PLUS SIDE = Picked this up as a Daily Deal, and was pleased to find that the game was a great value. The story is set in Old Salem, and you need to help your Mom who has been taken to jail as an accused witch. You travel throughout many areas in the town. The cutscenes are great and so are the voiceovers. I was engaged in the game from the opening scenes. 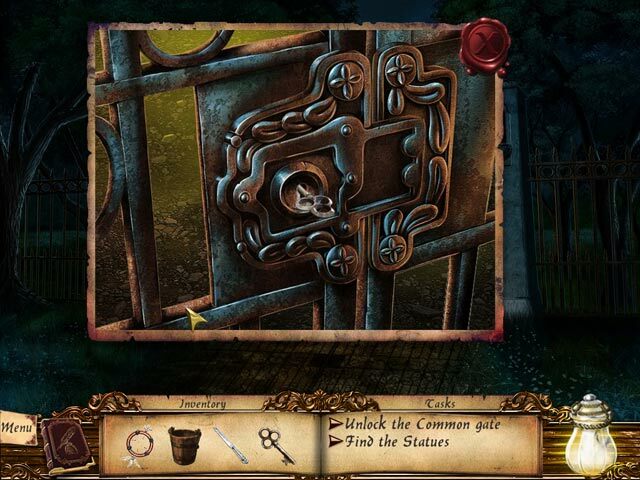 Hidden Object scenes were clear to see, and fairly easy to find. Game length was about three hours for me. MINUS SIDE = Even with the map I got stuck a few times trying to get from place to place. Also had a problem using the Family Heirloom to hold the animal familiars, maybe I needed more coffee to improve my hand-eye coordination! This was great fun and educational game. It put me into the setting of how it may have been back then. This is my all time favorite game so far. Would highly recommend this, even to teachers. This game seemed very short to me, probably because it was enjoyable. The story line catches you up in the action -- especially at points when things happen you don't expect. The inventory items are all logical and it's easy to figure out how to use them. The music sets the pace well - I found myself hurrying when they were chasing me - driven by the music - even though I had plenty of time in reality. Graphics not bad, a little choppy but easily seen and understood. HOS items were easy to see and find. I didn't care for the "family heirloom/animal" thing - and didn't see the point of it - but the rest of the game is great. Overall a good game. Had a couple of things that got stuck and had to restart the game. Also couldnt use the Animal Banisher all the time. 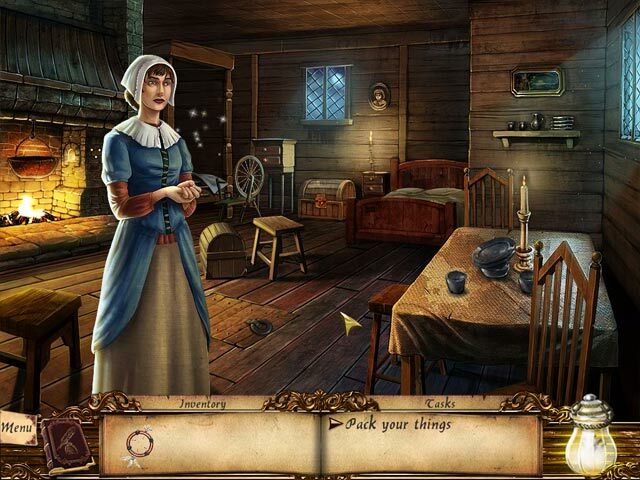 Off all Salem related games, I think this one pars with Midnight Mysteries: Salem Witch Trials in terms of gameplay and storyline. To me this game is great. Nice game with interesting puzzles. While playing this game I don't experience any glitches, so please try the demo before buying. You have to go back and forth a lot to get clues. The HO are easy. Story can get a little confusing after awhile.